“This isn’t the story you’ve heard before,” begins the voiceover narration to this prequel to the tale of Peter Pan, the mischievous lad who never grows up and learns how to fly. Created by Scotch novelist and playwright J.M. Barrie in the early 20th century, Peter Pan became a hit on the London stage before spreading into even wider fame via a 1953 animated Walt Disney movie, other film adaptations and live TV musical presentations—including one as recently as last year. But this movie isn’t that story, as it wants you to know right off the bat. 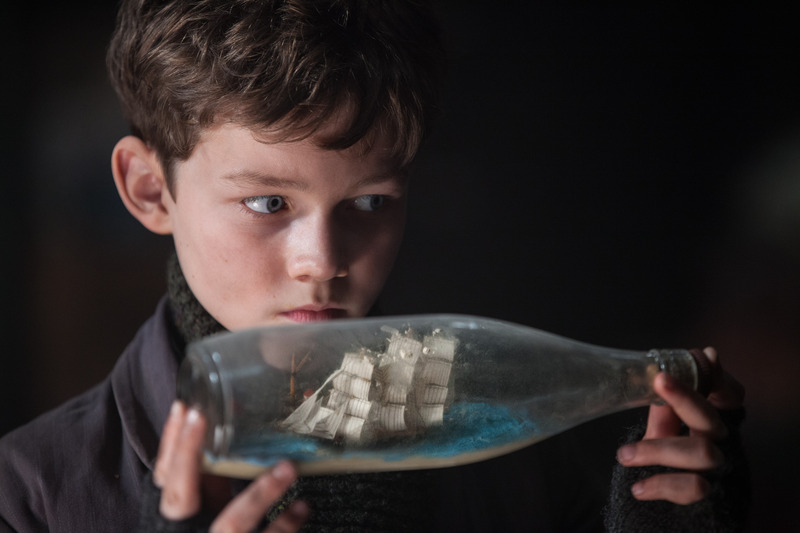 Pan is the story behind that story, about how an orphan boy (Levi Miller) came to be the eternally youthful Peter Pan, the scourge of the pirate captain Hook, the champion of the Lost Boys and the airborne companion of the flittering, phosphorescent fairy Tinkerbell, all in a faraway place called Neverland. Pan is big, loud and full of razzle-dazzle. British director Joe Wright—Pride and Prejudice (2005), The Atonement (2007), Hanna (2011)—obviously set out to make a spectacle. But his extensive, exhaustive, CGI-heavy production and the movie’s darker themes often crowd out the exuberant escapist magic that audiences have come to expect from a familiar tale and its familiar characters. 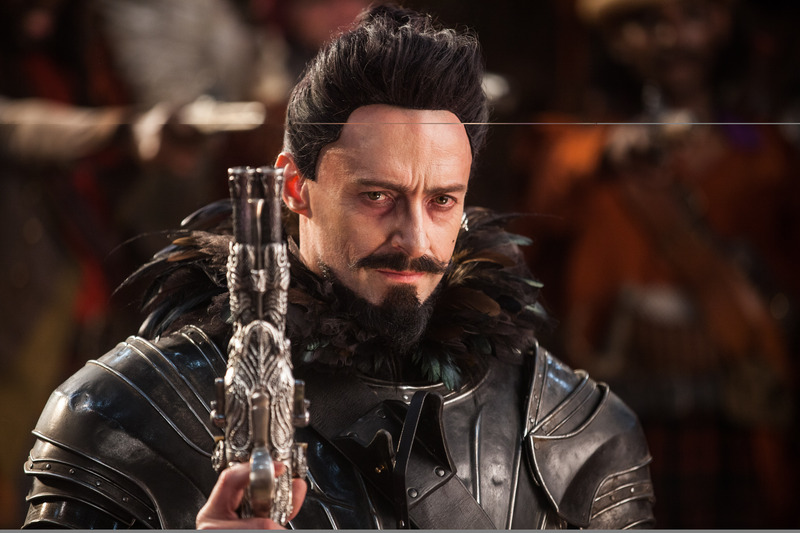 The movie’s most notable new addition to Peter Pan lore is the pirate Blackbeard, played to the malevolent hilt by Hugh Jackman. It’s Blackbeard, we learn, who’s been spiriting World War II-era London orphans away to Neverland to work as his “lost boy” slaves, mining glowing little globs of fairy dust he calls pixem. A source of rejuvenation that offers him the tantalizing hope of eternal youth, pixem is Blackbeard’s obsession, and he’ll stop at nothing to get it—even killing children who slack off in their search for it. We also meet James Hook (Garrett Hedlund), a lost boy who’s grown to lost young-adulthood in the mines—and who’ll grow up even more later, in dots easily connected, to become Peter’s nemesis, Capt. Hook. 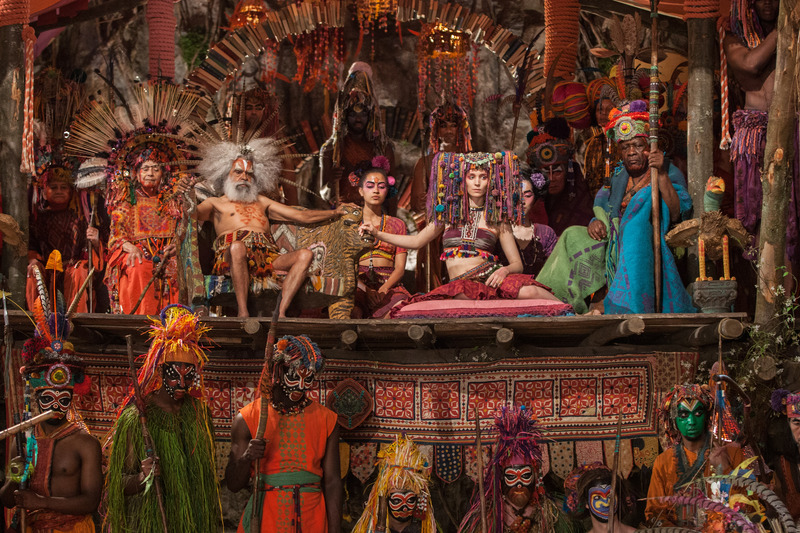 We meet the princess Tiger Lily (Rooney Mara), a leader of Neverland’s indigenous people, who have a history of tangling with Blackbeard. There’s a trio of luminous mermaids (all played by British fashion model Cara Delevingne), a gaggle of gigantic screeching birds that look like rejected Jim Henson prototypes, and an enormous crocodile that will—presumably—one day chomp off one of Hook’s hands. Pirates, outfitted as if they’ve raided Broadway prop rooms as well as Ringling Bros. Barnum & Bailey clown closets, zip up and down from flying galleons like Cirque du Soleil acrobats on bungee cords. There’s a legend that comes to life in a tree stump, memories at the bottom of a dark lagoon, a chorus of raggedy boys singing Nirvana and Ramones songs (yes, you read that correctly), and Peter’s undying quest for his mom (Amanda Seyfried), who gave him a pin in the shape of a pan flute before abandoning him as an infant. The sign of the pan, as it turns out, is a big deal in this realm of fairy dust and flying pirate ships. It’s all a lot, and really it’s just too much. For this noisy, busy trip to Neverland, Pan relentlessly packs, whacks and attacks the screen. The “boy who could fly” still takes to the air, but this cumbersome, weighty, bombastic bit of backstory feels like an over-crammed, tossed-around piece of movie baggage.